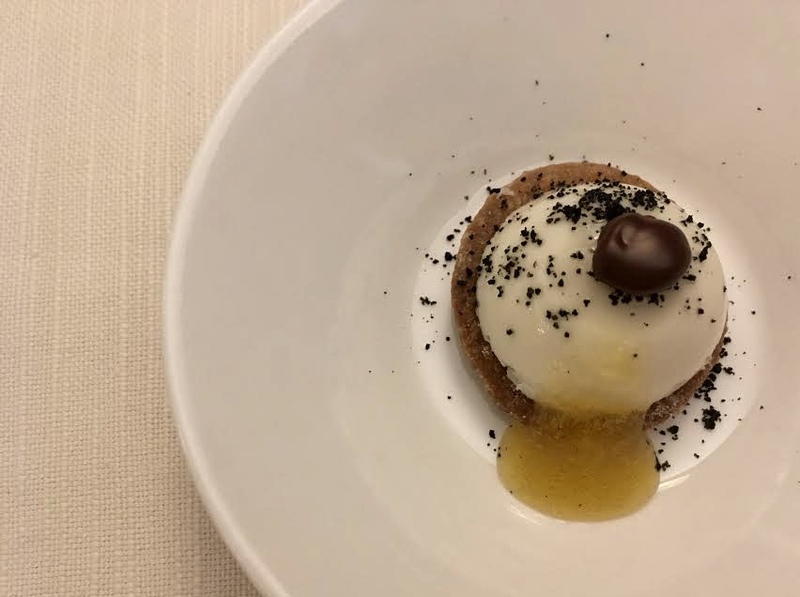 Unless you’re an old-timer in Florence or really plugged into the restaurant culture, you probably never heard of Oliviero on Via delle Terme. And honestly, until it re-opened with a new chef- neither had I. From what I understand, Oliviero in Florence was one of those fine dining institutions with a rotating door entrance spitting you onto a retro bar with a piano and the red carpet rolled out into the swank dining room, serving fancy fare to the well-to-do, celebrities and general VIPs, socialite politicians and the like. 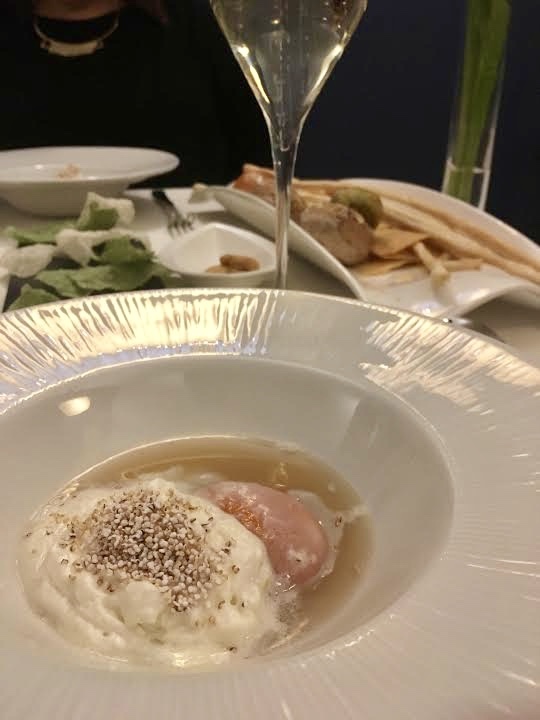 As a self-described food writer in Florence, I’m not ashamed of not experiencing Oliviero until recently. 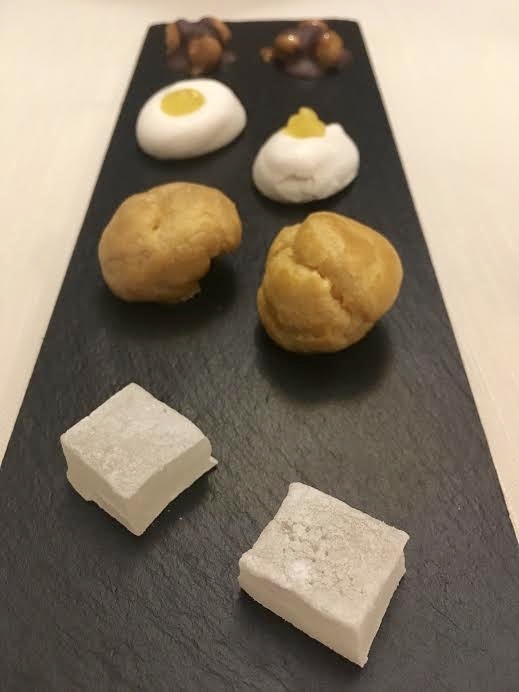 Considering the cost and exclusivity, Oliviero was never really a restaurant for most Florentines and I’ve only recently developed a curiosity for fine dining. 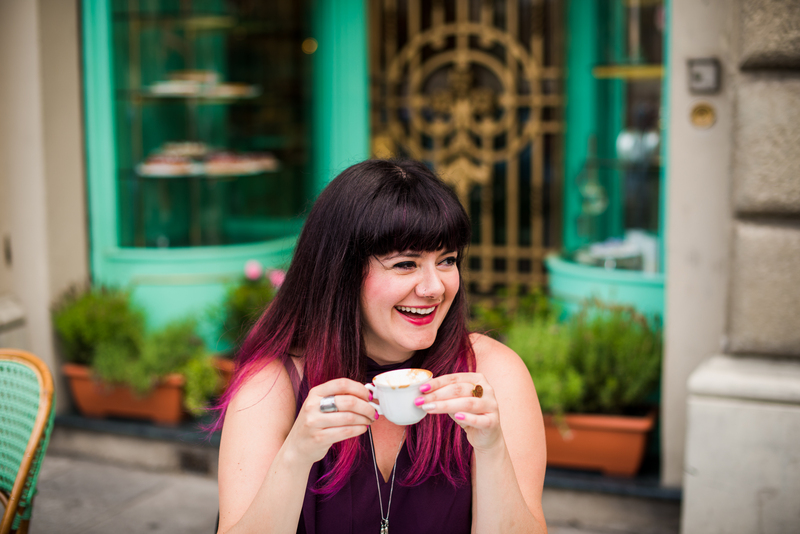 When I first moved to Florence, it was all about finding the traditional blue-collar gems that oozed Florentine soul. 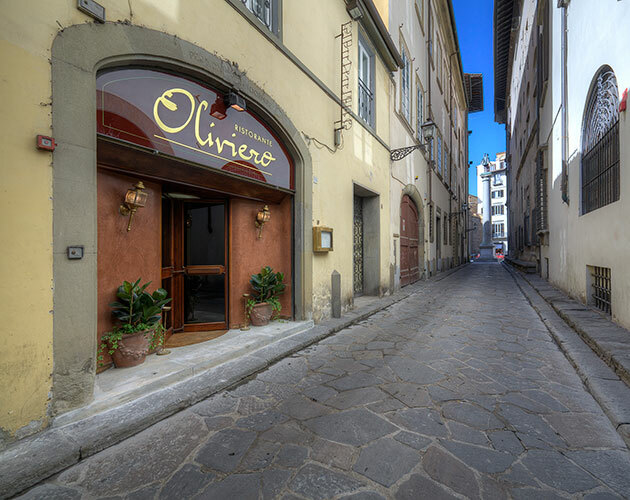 What I failed to discover, was Oliviero had a place of its own in the Florentine restaurant scene. Oliviero closed in July of 2016 and re-opened in February of 2017 with most of the original design, give or take table styles and a splash of color to the walls. 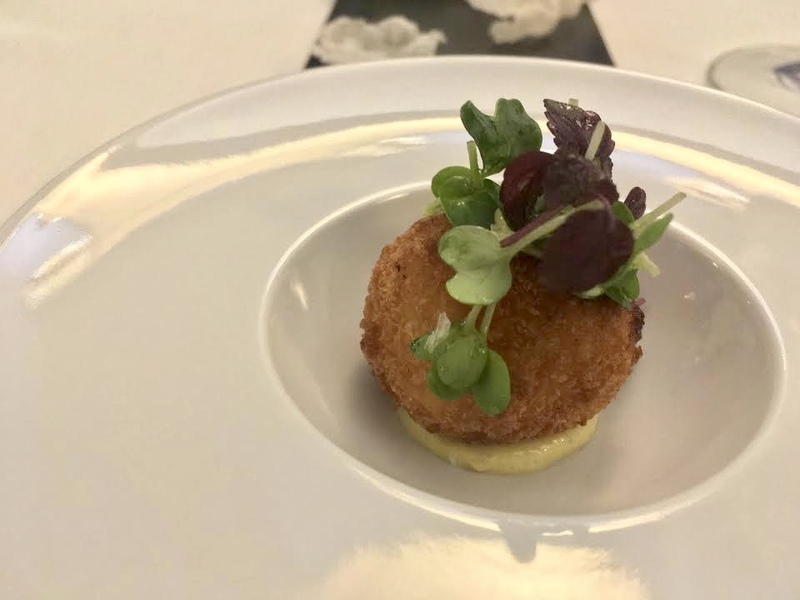 The new chef, Ivan Ferrara, Palermo in roots Florence raised with an intention to pursue a career in fine dining, earned his feathers in caliber kitchens such as Enoteca Pinchiorri, Florence’s 3 Michelin star restaurant. So while some may consider Oliviero’s an ending of an era, I consider it an evolution of sorts. 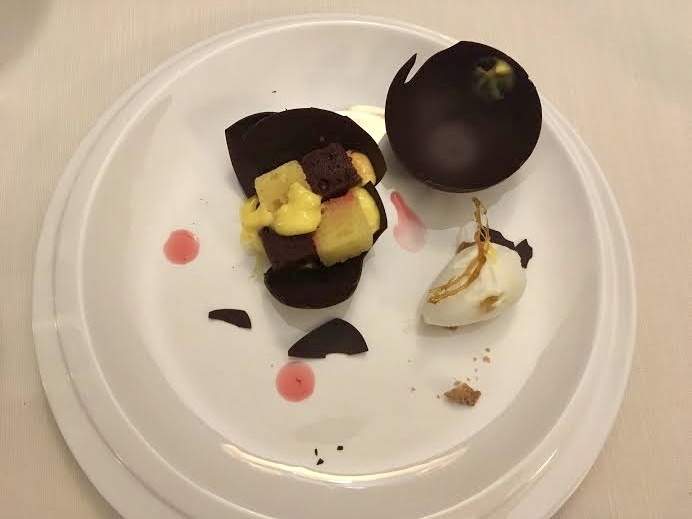 Its been my observation in Florence, and perhaps a general trend, demand for the traditional sense of institutional white table cloth/luxury fine dining is fading away. 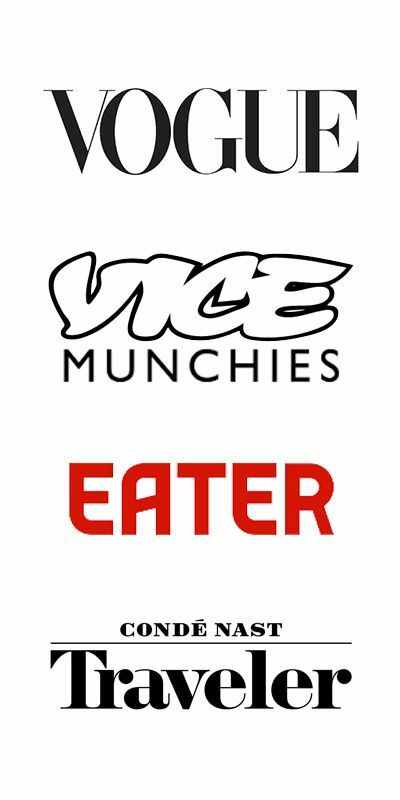 Generally speaking, diners are less interested with this kind of stiff butler-style experience with food a status symbol rather than a piece of culinary art and more interested in chef-centric fine ingredients dining with creative modern/contemporary fused flavors. 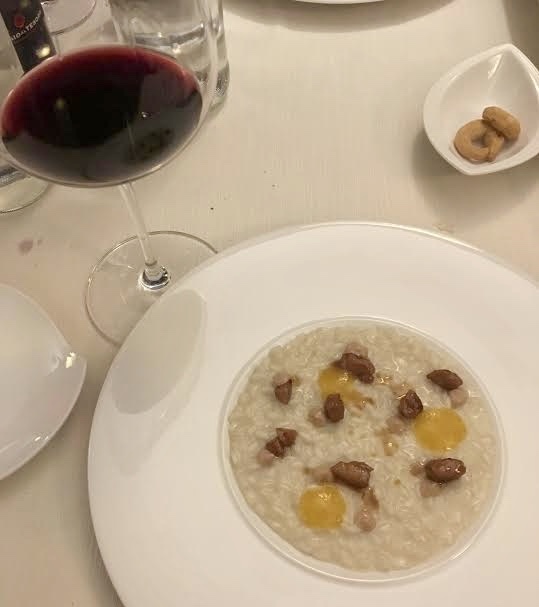 That being said, I found Oliviero to be an excellent restaurant playing on Italian and Tuscan classics for quality fine dining (and not the stuffy kind) where a 30 something like myself didn’t feel out of place, and not only because the chef was younger than me. The service concise, attentive but not overbearing. The food delicate, flavors well-built and pleasing contrast of textures. The wine was bearable but nothing out of this world, however their post-meal grappa collection was something to feast on. I will say that when I visited it was pretty empty, perhaps this was I went when it first re-opened. So the atmosphere was stained by a stark, quiet ambiance. No music nor a soul but me and my dining pal. What I’ll never understand in Florence/Italy, is why is it so difficult to play some decent music in the background? THESE CAPPELLETTI were magical. I most appreciated they were made with whole grain flour. Why? I prefer whole grain products not because I’m granola but because I love the texture and earthiness. If you pick a good flour, it’s the bees knees. 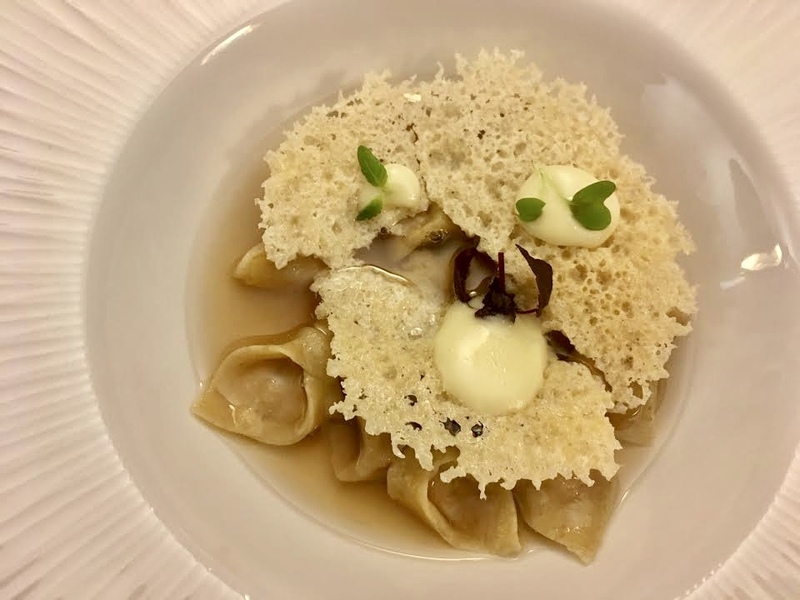 After spending weeks in Bologna researching (eating) tortellini bolognesi in brodo everyday, I can safely say these were in the top 5 I’ve had thus far in my 10+years living back & forth in Italy. The parmesan (excuse me, parmigiano) waffle and the dots of whipped olive oil on top were a lovely play on textures, earthiness tied with an ambrosial escalation of umami layering. I honestly do not remember what this was- which is to me not a good sign. If something is delicious, it will be memorable. 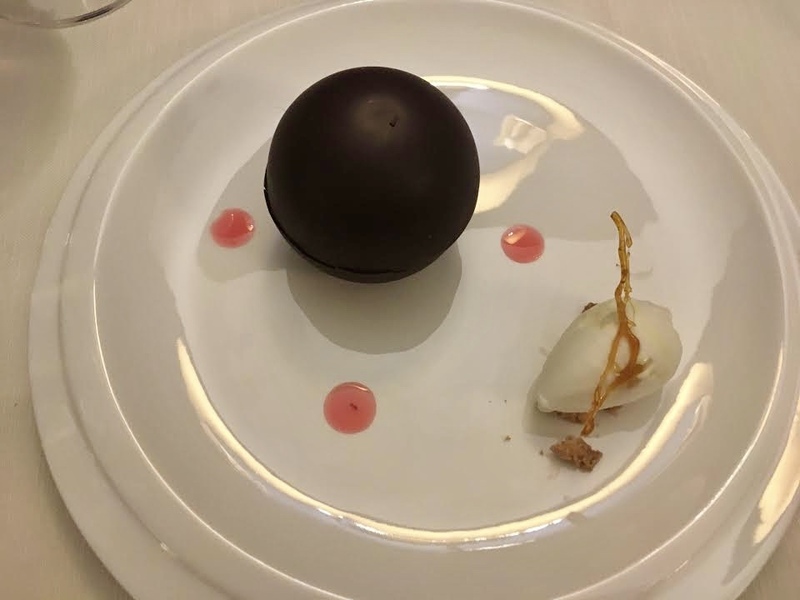 There are insane chocolate tasting experts out there that deem the quality of chocolate by how the sound of the snap is when chocolate is broken and while I am not able to distinguish this nuance, I’d bet that this chocolate sphere made the quality cut. The zuccotto cake (pan di spagna soaked in spiced alkermes liqueur) inside was visually intriguing however not as pleasant on the palate as I expected. The presentation as I said was nice, the chocolate satisfying but as a whole not something I’d order again. The finishing (complimentary) desserts were alright, but the gels (upfront) I hope never get served again. They tasted like a perfumed porta potty if that is even possible. 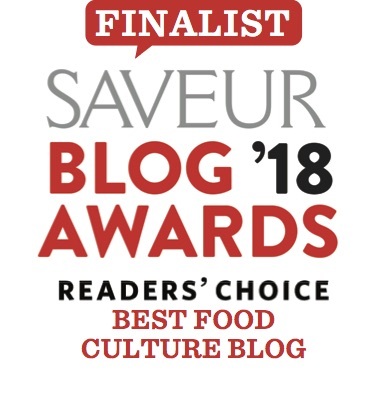 Rarely would I say a restaurant is not worth going to at all- this is why it is helpful to provide reviews. I’d say stick with the primi, be weary of the appetizers, stick to a familiar meat when ordering a main/secondo. Do something chocolate for dessert. Don’t have high hopes for wine and stick to Franciacorta or champagne- that s*** goes with everything. Even if my review is mixed, I’d go again. Even if chef Ferrara’s career is already peppered nicely, we have to keep in mind he’s considerably young (under 30!) and we must applaud success like this. I only imagine time (and criticism) taking Oliviero further in a positive direction. 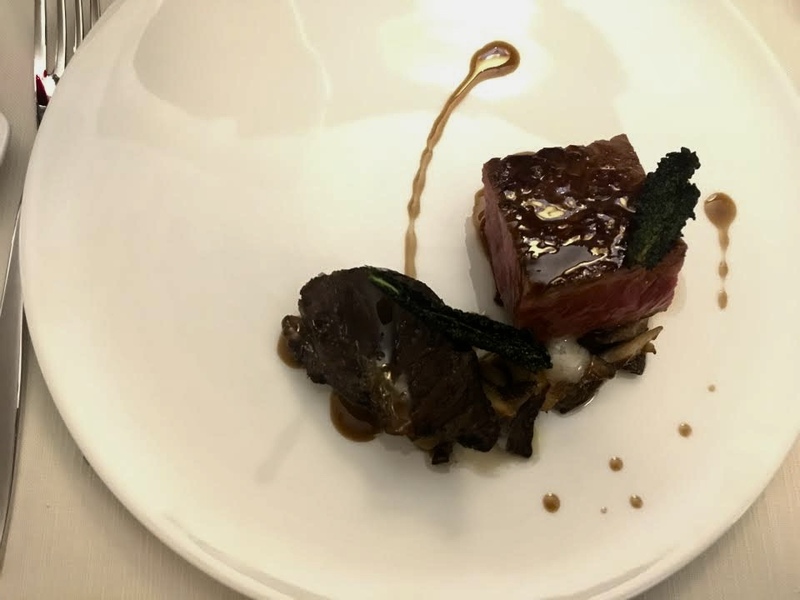 The service was top notch which is painfully hard to come by in Florence, if you navigate the menu carefully you’ll eat well, and it’s a worthy contender in the fine dining arena, and is a swell choice for special occasions. I also appreciate that restaurants like Oliviero sourcing high quality ingredients isn’t cheap or easy, I have to say the bill wasn’t bad (something like 80eu a head including wine). Then again, I’m American where eating out is extremely expensive (usually mediocre) whereas most Italians have been spoiled eating well for cheap (or free at mammas) most of their lives and tend to complain about restaurant costs, not factoring in: price of raw materials, labor, rent, taxes, marketing, overhead, etc. And god forbid if they want to turn a profit after all of these costs! I personally attribute this what I’ve just broken down with why a lot of these elegant/fancy places like Oliviero ending up filled with foreigners or the few % of elite Florentines. 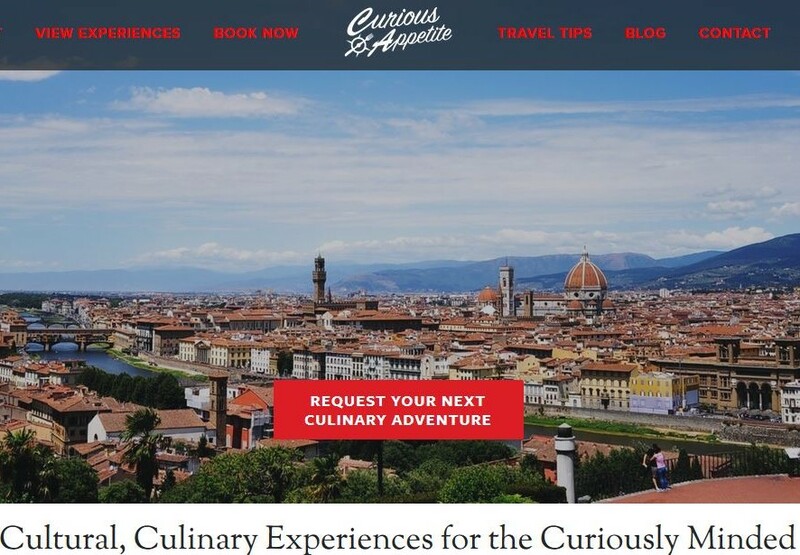 Not because Oliviero is touristy or has tourist prices, but because most Italians want something to be 5 star/absolutely perfect if they are going to pay more than 40euros for dinner, and understandably so. Their stipends are around 1200-1500eu a month so an 80eu dinner is not exactly easy lunch money. All in all, I will say the restaurant is worth a visit. I’d suggest the wine list be revisited and some of the kinks worked out with consistency across the board with the entire menu. The primi are spot, the secondi (mains) acceptable on so that’s a good sign. They just re-opened in February of 2017, I look forward to tasting how Oliviero 2.0 will continue to evolve.